A STRATOSPHERIC price tag can often induce a double-take. More so if the product in concern is, to a degree, indispensable to the life of the modern man. And so when we chanced upon Sennheiser’s announcement of the HE1 – now commonly known as the world’s most expensive headset – we, too, had to verify that the figure wasn’t off by a factor of 100. 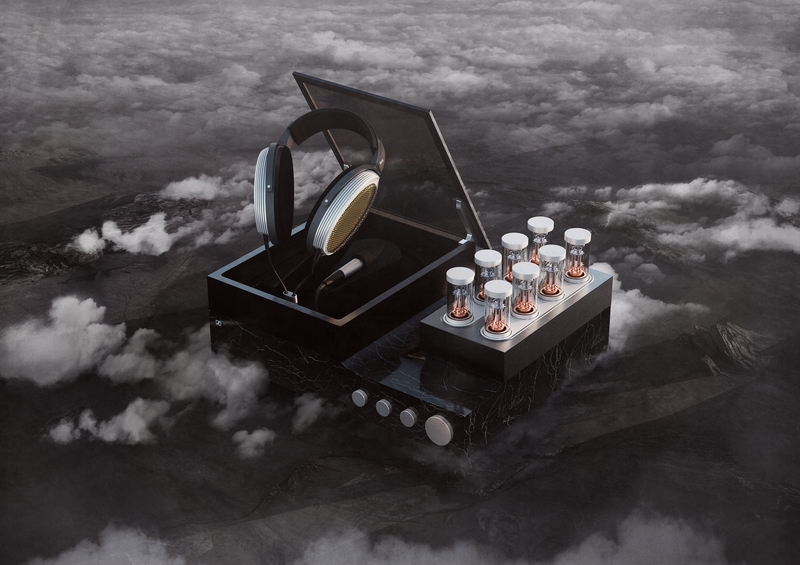 With a precious pair of these now easily accessible at the newly-launched Sennheiser HE1 Experience Centre of the ConnectIT boutique at 313@Somerset, interested members of the public can now make appointments to try on the HE1 and its potentially worldview-altering properties. Trier beware – once you’ve slipped on this pair of sleek cans, you may be slightly disgruntled with the rather pedestrian quality of your current audio setup. Once past the glass facade and doors, you’ll be seated in one of two crimson armchairs facing the HE1 – which one may have trouble identifying. You see, you aren’t just paying for headphones with the HE1 – you’re buying an entire system that powers, converts, shields and amplifies the inbound signals so that the headphones themselves can deliver the experience anyone would expect for 86,000 quid (derived from €55,000 – and that’s before taxes). That performance begins even before the headset touches your ears. Depress the chrome-plated volume knob to power on the device, and the controls unsheathe themselves from the gorgeous, Carrara marble base thats hewn from a single piece. As with all precisely-machined parts, twisting these knobs is in itself a tactile pleasure as they glide satisfyingly in place. The stolid marble makes up most of the HE1’s 25kg mass, but even that serves a function: it’s a great damper for the entire system. Then the eight vacuum tubes ascend gently. These are double-insulated and coated with treated glass to ward off the effects of electromagnetic waves (such as those emitted from your smartphones). Most attribute the futuristic look of the HE1 (and its predecessor, Orpheus) to this array of tubes when they are in fact, literally, blasts from the past. Vaccum tube amplifiers were the analogue heart and soul of such setups before transistor-based circuitry entered the game. The latter is less fragile, generates less heat and are far more compact – so why would Sennheiser include the older tech? Audiophiles have split hairs over this one, but the consensus is that the oldschool tubes produce deeper, richer sounds truer to the original recordings. Mind, the grand irony is that this could mean music that doesn’t sound as good – there are, after all, flaws in every recording that transistor-based systems can help ‘gloss over’. This idiosyncrasy isn’t as infuriating as it sounds. Simply ask if sounding better or sounding real is priority to you. Chances are, at this price point, you’re looking for the latter. Sennheiser, with the HE1’s use of both the tube and transistor amps, is pitching to land in the ’emotions’ hat. We understand why once the lid finally rises and we get to slip the HE1 on. By recreating grittier, truer-to-life sounds, the headphones are better able to induce a sense of intimacy and being. For the three songs that we sat through, we became part of the act rather than remaining observers – particularly with the throatier bits of a track where it felt like the artiste was crooning (and drawing breath) just centimetres from the ears. And very comfortable those ears will be. As someone with rather large specimens, I’ve eschewed most headsets as the cups either clip my ears if they’re too small, or weigh a tremendous amount if they’re big enough. Whatever Sennheiser’s invested into the make of the HE1, it lies outside the weight-size curve of even thousand-dollar pairs and makes for comfortable lounging. To note: the leather ear cups are of open design, meaning they do not attempt to isolate external sounds from the listening experience. This results in very organic, natural sounds that appear to originate from around you rather than from the drivers. You do need the luxury of a relatively silent living room to enjoy this fact, otherwise, opt for something with ANC or isolation. It also does mean that sound will ‘bleed’ from from the HE1. If this – and the lack of portability – are not issues you face in your temple of aural nirvana in your manpad – this is the magnum opus of the audio world, for now. Make an appointment ahead of time for the Sennheiser HE1 Experience Centre, ConnectIT, Basement 2, 313@Somerset, #B2-08 through 11. Tel: +65 6219-3457.